Will I ever reach the editing stage?? Yes, today’s short post seemed the perfect opportunity to tell you all about my work in progress. In reality, of course, I’m actually working on several things at once – regular writing challenges from my weekly Writer’s group, a few short stories, songs when I get the urge and blogging just to fill out the time! But what I really class as my WIP is my unfinished first draft of my novel, Let Sleeping Gods Lie. I started it for NaNoWriMo last year, managed to hit 55,000 words in the month and it currently stands at around 62,000. By the beginning of this year, I first slowed, then stopped, then took on the A-Z Challenge as an elaborate way to procrastinate for another month (ok, I readily accepted the challenge when suggested by Maria at First Draft Cafe). I’m describing the novel as part satire on big business and corruption, part paranormal comedy caper, but that will no doubt be refined by the time I’m finished! You can find a quick synopsis and short excerpt on my Nano profile here. So what is your current WIP? Novel, short story, poem or prose, I’d love to hear about it in the comments below. This month there has been little time for anything has there? When this finishes I shall be editing my first WIP then continuing with the first draft of the second. I plan on staying as busy as I currently am, but with more WIP time. I hope your plans go to…. plan! No, you’re right, Rebecca – time has not been in abundance this month! The thing is, for most of us, I think that could be said at any time of the year. It’s always really difficult, but I think there comes a time when you just have to get on with it! Good luck with your editing and first draft – keep us posted with your progress. “May the words be with you.” – I love it! So catchy! You should start it on Star Wars Day, May 4, as in May the fourth (force) be with you. Good luck with your novel! I have an idea for one but haven’t even started on it at all. Hi Dee – thank you. I haven’t checked with my fellow writing buddies if they even want a name for it yet (!) As usual, I’m probably focusing on the least important aspect of the challenge! Great that you have an idea for a novel – grab your notebook and start putting your ideas down! Great post Wayne. I’ve bored you enough of my WIP’s during AtoW. Didn’t find the excert, liked the synopsis and want to read more. Good luck with your next writing challenge. Write in May, you shall. Hi Lynne, thank you. You haven’t bored us at all! Been good to get such an insight from you and it was a good idea for a theme. The excerpt is directly under the synopsis (although, technically speaking, I haven’t really written a synopsis – it’s more like something you would read on the back cover of the book). The excerpt begins “Jean Spencer would pass away in 8 minutes time” Loved your post today, by the way. Haha – also, only just spotted the Yoda reference! No try – only DO! WIP! What a perfect W topic! Why didn’t I think of that one? My current WIP is the sequel to my Sci-Fi romance novel. LOVE your excerpt. It definitely captured my attention! Oh, thank you, Rinelle – I had a good reaction to it when I read it at my critique group, but now the pressure’s on to sustain it for an entire novel and deliver on that promise! Gulp! I love the title of your WIP and your proposed writing group. That’s what I’d recommend to help you keep on editing. Writers groups are so supportive and can also nag when necessary. I’m working on a children’s nonfiction right now. Yes, I agree – strength in numbers etc. You WIP sounds interesting – what subject are you tackling? We all seem to be in the same boat…A to Z, writing a short story, trying to publish novel #2, submitting final chapters of #3 to writing group, blogging, etc etc etc. Do we remember to live life? Haha – I know, Beth! Life? What’s that? We’ll have to do a few word sprints via Twitter – did you do any during NaNoWriMo? I found them really good to make me do the words. Your novel sounds a fun read, I’m looking forward to hearing more about it soon. Hi Maria – yes, hashtag needs more work – that was just the first draft of my hashtag and as you know, it’s always good to do at least 2 edits on your hashtag projects! I’m thinking #maywords will suffice? I am yet to try the word sprint technique, but I’m definitely up for giving it a go. Anything to reach the end of this first draft! Really like the premise of your novel, seems to have a lot of potential! I’m a sucker for anything based around the adventures of omnipotent beings (tried to write something fitting that category myself, once upon a time). My own WIPs? Well, they’re all non-fiction: a creativity guide taking lessons from sport; a book about visiting independent cinemas (visits still ongoing! ); and I’ve also got plans for a digital magazine that I’d like to try and get up and running. Really impressed with how you’ve kept up with this A-Z challenge along with all your other projects. Congratulations! Sounds like you have loads of interesting stuff going on, Paul – love the sound of the independent cinema book. Have you seen that brilliant little documentary “Last Projectionist?” about the Electric Cinema in Birmingham? Thanks for the kind words too. 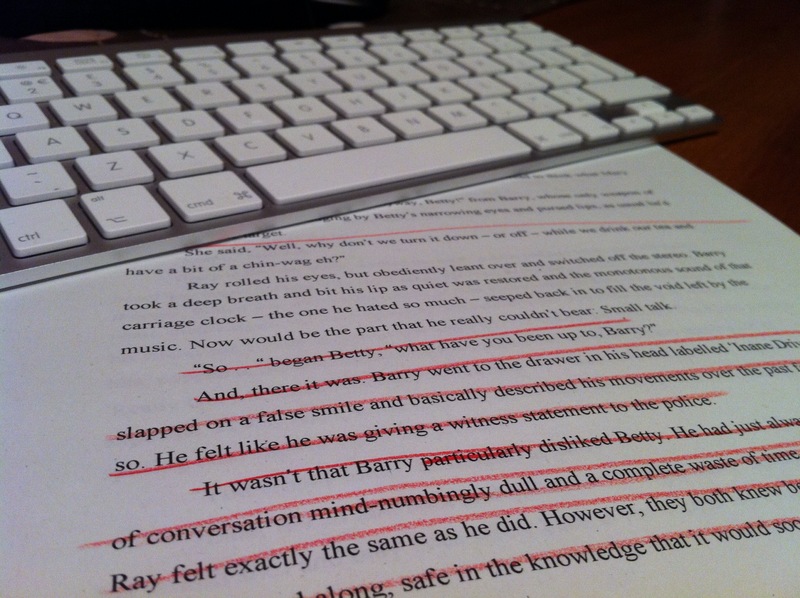 Almost time for the next challenge – finishing this first draft! Hi Nancy – thanks for taking the time to read the post my our theme sounds interesting, I’ll be sure to swing by. Yes – I know what you mean about the challenge! I was planning to do a Camp Nano to finish my first draft, but I’m glad I did the A-Z as its been great to produce so much content, and even better, to meet so many other bloggers. Have a great weekend. I’m so amazed by writers who are capable of having more than one project on the go at once. I’m the type that needs to see one through to finish before I can even lend my brain to something else. Hi Jessica – I envy people who can stay focused on one task and see it through until it’s finished! We all work differently and as long as it works for you then it’s good. Thanks for stopping by – I look forward to seeing what you have been up to as well.